The Motorola Talkabout MD200TPR is a great two way radio which has been designed for multi-party communication over distances less than 20 miles. This radio set is rock solid for the price and it functions in all kinds of conditions, including storms. With larger than average buttons, the operation of the MD200TPR is no issue. A hard plastic shell protects the internal electronics of the radio from any damage it might take in the woods, around your house, or anywhere else you might be using it. 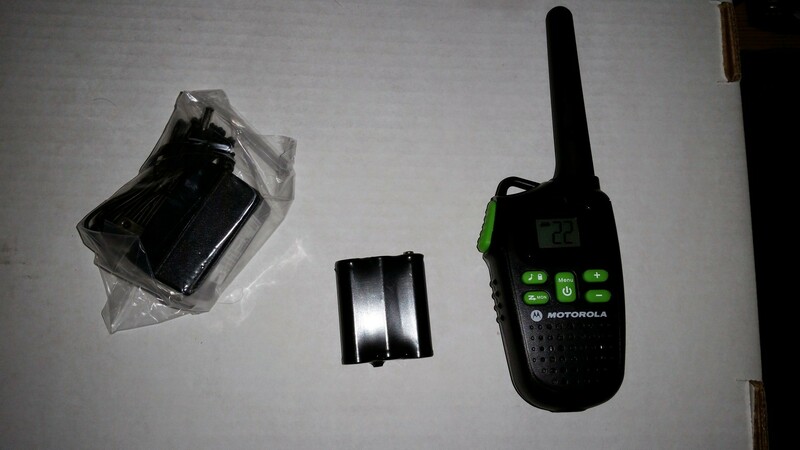 The MOTOROLA MD200TPR radio transmits very reliable across distances of less than 20 miles. This is a major bonus to the radio set. Most radios list a long range in order to lure in potential customers even though they do not get a very good range. This radio does not pull its punches and advertises its capabilities right up from for anyone who is interested. With the power adapter, you will be able to quickly and easily charge the NiMH battery included with the radio. Initially, the rechargeable battery will need to be charged for about 16 hours in order to reach a full charge. Subsequent charges only require 14 hours. The quick charging time and long lasting charge on these battery packs makes them the perfect solution to your camping or hiking needs. No charging cradle comes with the unit, but it does include an AC power adapter which makes it perfect for mobile use. If the chargeable battery pack is not enough, you can also operate the unit with 3 AA batteries. 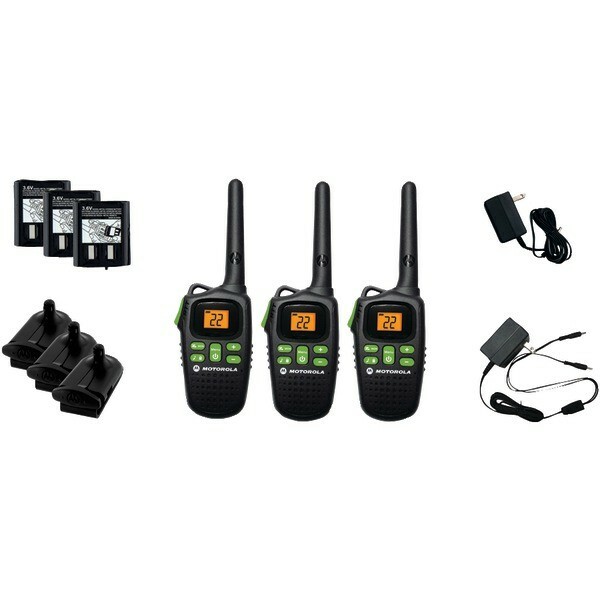 The ability to use a headset with these radios will let you use them for your indoor or outdoor communications without even unclipping them from your belt. It doesn’t matter where you are, sometimes you won’t have your hands free to use your radio. During those times, this feature will really come in handy. 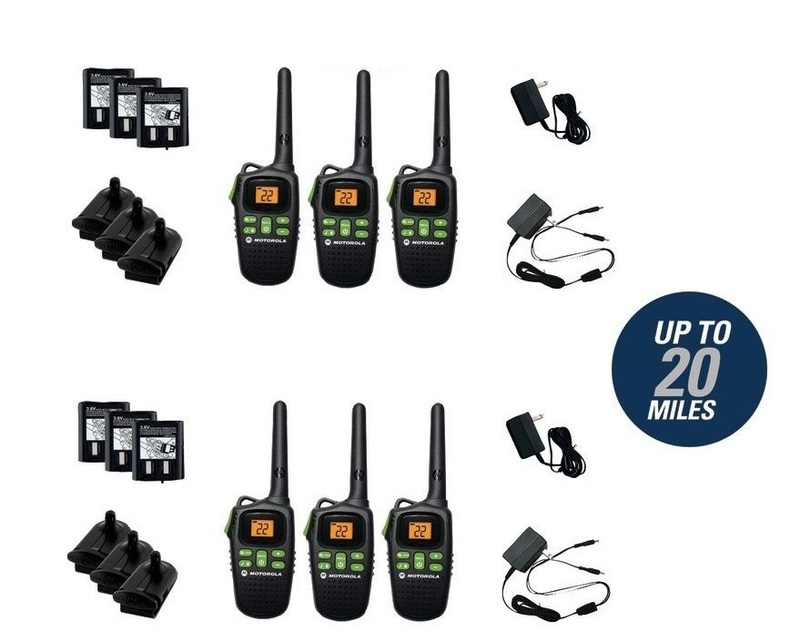 While most sets of radios come with only two of them, this set comes with three. This makes the MD200TPR perfect for larger group or for groups needing to split up. The affordable price stays low even with the inclusion of the third radio, so the price point is not offputting. When making your purchase, you may want to throw in a headset as well, as this radio does not come with one by itself. The functionality is there, all that is missing is the accessory itself. 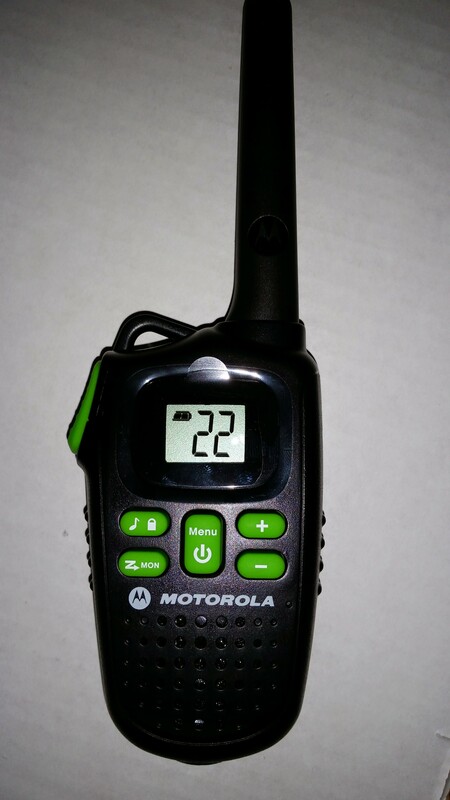 The Motorola MD200TPR is the perfect solution to your camping and emergency communication needs. Lightweight, rugged, and dependable, its low price point is an added bonus to what has proven to be one of the most reliable and dependable two way radios on the market. With the inclusion of a third radio, you can’t go wrong. Whether you need the radio for your camping, around the neighborhood, or as part of your emergency preparedness plan, this is the perfect radio set for you.